In the seventh episode of the show I talk with Kelly Surtees about the astrology of Mercury retrograde. Mercury recently went retrograde in Cancer, and so we thought that it would be an appropriate time to talk about the phenomenon on the show. During the course of the episode we discuss some events and circumstances that Mercury retrograde periods seem to correlate with, as well as some ways in which the phenomenon has become a bit over-hyped in the astrological community. If you have any of your own observations or interesting stories to share about Mercury retrograde please let us know in the comments section below! Today is July 12th and earlier this week when Rx Mercury was conjunct the Sun (combust) we got a trojan virus into our computer system at work (Shylock virus) that wrecked havoc with us. All the computers and shared folders had to be scanned and cleaned up including the flash drives as the IT people believed that it entered the system through an infected flash drive. It took about 3 days to get everything cleared and back to normal. Hi Chris – I was wondering if you or others have experienced this Merc. retrograde transit as highly personal. It’s been quite an emotional roller coaster in my family from uproars to surgury (eyes and heart.) I was wondering if it has to do with Mercury in Cancer along with Jupiter, Mars, and the Sun. Also, my daughter reminds me that Demitra said (Tempe Conference) that sometimes trines facilitate crises and trauma because the events then happen with ease – I think that’s the gist of what she was saying – and the grand trines in water with Neptune /Chiron Pices, and Saturn, nodes, and the past couple of days – the Moon all in Scorpio are a sort of set up for emotional stuff? Anybody else getting personal turmoil outa this one? We also had two cars that wouldn’t start, a broken sprinkler system, and one refrigerator on the fritz. I had a few things come up, but some of the annoyances didn’t seem to hit me as hard as some previous retrogrades, although there were definitely some incidents. Perhaps Mercury is activated in a significant way for you by Annual Profections, and that is why it hit you harder this time around? This is an excellent podcast. Good chemistry between the co-hosts and lots of information. Thanks! Yeah, I will have to have Kelly on again soon. The episode just before and the episode just after this one featured Kelly as well. I must say I found this genuinely disappointing. It came across more like a casual conversation, riffing on the topic. I found the abundance of anecdotal information to be at the expense of any in-depth analysis, and the natal case was largely ignored. No real examination of retrograde delineation; more about tales of Mercury retrograde woes, and fairly superficial at that. Perhaps my expectations were misplaced. This was just a casual conversation that Kelly and I recorded after talking about it a bit at a conference the month prior. If you were expecting a complete dissertation on Mercury retrograde then it seems like your expectations were probably higher than what was warranted by the description. Thanks for your very prompt reply. I was influenced by hearing your in-depth and broad ranging discussion with Robert Hand on modern and traditional astrology which was quite different in character, and arguably much more of what I was seeking. Thanks. hi chris, i am new about astrology and i really don’t know much about it. i just rely base on what i’ve read. does mercury retrograde september 17 to october 9 2015? if that so, on my birthday sept. 17 when mercury start retrograde. i have notice that after a week or i think september 22nd i become so intense and focus about astrology. i do researched and self study that is really so scary. i even tried to do natal chart interpretation just base on my knowledge from experienced which really cause me so frustrated and stress from false discoveries so far its the craziest experienced i ever had.. on 27th of september i start to calm down and trying to act normal and telling my friends and family that i was just having a disillusion for lack of sleep. and even post a paper infront of my computer table “stop mystery and be practical” but it never really help as i still keep searching endlessly. from chinse zodiac sign, astrology and how sun sign. rising sign and moon affect the person behavior and how void-of-course moon affect someone decision. the clarity of information was up and down during this mercury retrograde. i even did plan to enroll online classes which postponed because i keep checking and looking for best teacher or mentor for beginners. and i almost fall by scammers who act to be astrologer but in vain. it was really weird experienced. before october 9 when mercury goes direct i still having trouble of ways of thinking.. just exactly october 17th a week after mercury goes direct that things become more clear and quite in good position now.. that’s the time when i realize about my mother and father good karma and bad karma takes place. (they both capticorn ). they separate and have different family now and ended up (both gemini partners) and each of them gave birth of their first baby both (virgo sign). mercury retrograde helps me think of the past. ME as virgo and having 2 half sisters with virgo sign. i found out how wonderful our lesson in past experienced taught us of what we are now.. i had teary eyes on that moment. This could use a reissue. It’s pretty blase and conventional. Shocking considering your stated intention on publicizing astrology. 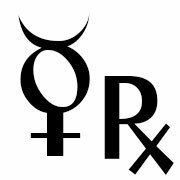 With Mercury both being one of the most personal planets in the chart and Mercury Rx being maybe the most common introduction of the layman into astrology, a podcast on Mercury Rx handled with precision, clarity and erudition would be of great service. I’d like to see this episode updated too. I’ll see what I can do. This was more of a casual episode back when we recorded it at the time, but we could certainly revisit the subject and give it a more detailed treatment at some point.